The refrigerant HFO1234ze was chosen due to its very low global warming potential (around 5-6), which attracts additional BREEAM and LEED credits. Cool-Therm has supplied an HFO-based reciprocating chiller to the University of Nottingham, where it is being used to cool its new Centre for Sustainable Chemistry, built by Morgan Sindall and designed to be carbon neutral and have excellent environmental credentials. 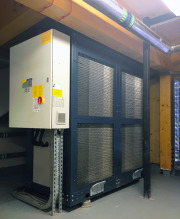 The 60kW ducted VHR chiller, manufactured by Italian company Geoclima, is equipped with refrigerant leak detection and an automatic pump down system, to isolate the plant from the building in the event of a leak. Given the educational setting, noise emissions were also an important design consideration. Acoustic control is used on both the intake and discharge sides of the plant with special air intake louvres, designed and installed by the contractor on the project, Imtech Engineering Services Central. 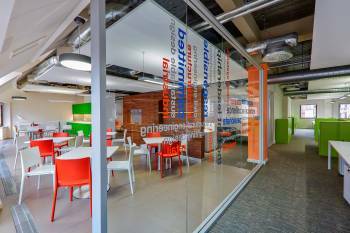 Martin Sharman, who heads up Cool-Therm’s Midlands office, said: “The project demonstrates the increasing interest in the market for low GWP cooling solutions. There is no doubt a change taking place among forward-thinking consultants and end users. He added: “Fortunately, we have the bases covered with our HFO and HC options, which in the case of HFO refrigerant also covers the Turbomiser chiller. This provides arguably the ultimate lean and green chiller-refrigerant combination on the market today.